It’s an embarrassment of riches. Norway has dominated the medals table at the 2018 PyeongChang Winter Olympics, easily eclipsing Germany, Canada and the US in the medal count. In fact, in the cross country skiing event called the skiathlon on February 11, 2018, a first-time Norwegian Olympian, Simen Hegstad Krueger, gave the entire field of skiers a huge advantage, and still won handily. To be honest, there is nothing easy about cross-country skiing, which is a grueling sport that requires tremendous levels of endurance. In the skiathlon, competitors have to ski 15 kilometers in the classical technique (similar to a walking motion), and 15 more kilometers in the freestyle technique (similar to a ice skating motion). And Krueger, who was in the middle of the pack of 68 competitors, was given an even greater challenge. Tripped at the start of the 30-kilometer race, only 200 meters into the start, he fell to the snow, taking down two OAR athletes who fell on top of him. In the fall, one of his poles had snapped, and he had to get another one from his coach. Suddenly , Krueger was dead last. As Business Insider showed in this pictorial of Krueger’s progress, the Norwegian put together an amazing come back, passing 62 other skiers over the next 22 kilometers, moving into 5th place with 8 kilometers left. Krueger won the 30-kilometer skiathlon 8 seconds ahead of Martin Johnsrud Sundby and almost 10 seconds ahead of Hans Christer Holund, making it a podium sweep for Norway. Krueger was in it for the long haul, and as they say, it isn’t over until it’s over. #EXCLUSIVE – #WinterOlympics2018 Pyeongchan: Simen Hegstad Krueger of Norway broke away on the penultimate lap to storm to victory in the men’s Olympic Skiathlon. Only three women have won ten medals in the Winter Olympics: Russian cross-country skier Raisa Smetanina, Italian cross-country skier Stefania Belmondo, and Norwegian cross-country skier Marit Bjørgen. But only Bjørgen is sill sking, and she’s gunning to become the most be-medaled female Olympian in history. A four-time Olympian, Bjørgen started her Olympic career at the 2002 Salt Lake City Games, where she won silver in the 4x 5km relay for Team Norway. In Turin at the 2006 Winter Olympics, she battled through bronchitis and stomach pains to manage silver in the 10k classical. And with age, Bjørgen keeps getting better and better. At the 2010 Vancouver Winter Games, she increased her distance by winning silver in the 30k classical, and dominated the shorter races by winning gold in in the individual sprint (1.5k), the individual pursuit (15k), and the 4x5k relay. The 2014 Sochi Games also saw her capture another three gold medals. Whether it was a sprint of 1.5 k of a long haul of 30k, Bjørgen emerged victorious. Since Sochi, Bjørgen had a baby in December 2015, and maybe her competitors thought she would lose a step or two. But apparently Bjørgen has maintained her winning ways, taking four gold medals at the 2017 FIS Nordic World Ski Championships in Lahti, Finland. On February 10, 2018, we’ll find out the day after the Opening Ceremonies, in the finals of the Ladies 7.5k + 7.5k Skiathlon, whether Bjørgen makes history with an 11th Olympic medal. I wouldn’t bet against a women who can lift a ship’s anchor. You may not remember the name, but you surely remember the body. When Pita Taufatofua walked into the stadium at the Opening Ceremonies of the 2016 Rio Olympics, carrying the Tongan flag at the head of his delegation. And in the doing, he, as they say, blew up the internet. The taekwando competitor was dressed in native Tongan costume, from the waist down. From the waist up, Taufatofua was shirtless, his muscular upper body slick and shiny with oil. Men stared and women swooned the world over. Jenna Bush, the daughter of President George W. Bush, was one of three NBC anchorwomen filmed rubbing oil over the arms and chest of the Australian born native of Brisbane. As a fighter, Taufatofua lost his first match in the heavyweight competition at Rio, and that was it. But once bit by the Olympic bug, it’s hard for some people to walk away. So Taufatofua did the unthinkable, and found a way into the 2018 PyeongChang Winter Olympics. And while there will be a taekwondo demonstration team from North Korea, this Tongan will be competing in cross-country skiing. That’s amazing since he didn’t start skiing until 2017. As you can guess, Taufatofua has not been around snow all that much, but he caught a break when the International Ski Federation changed their eligibility rules allowing skiiers to employ points gained in roller skiing competitions (more commonly organized in warm-weather countries). As explained in this article, Taufatofua had to work hard to learn a new discipline and spend a lot of money to boot. He formed a ragtag team of experts who coached him in his new discipline, moved to Austria to get his training on snow, and worked to make the minimum time to make the Olympics on the Tongan national team. “I’m the brokest I’ve been in my life,” he said. But he’s back in the Games. Can’t Miss Prediction: He won’t go shirtless in the PyeongChang Olympics Opening Ceremony. The four-time Olympian and 7-time medalist in cross-country skiing, including three gold medals, Eero Mantyranta of Lankojarvi, Finland was a legend in his country and his sport. But he could not outrace the rumors of blood doping when he competed. 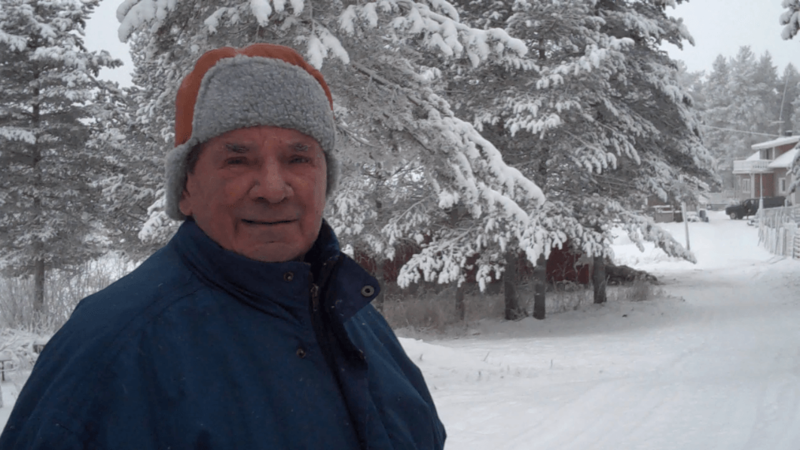 As a child, everyone in Lankojarvi skated and skied, but Mantyranta excelled, winning his first cross-country ski race at the age of 7, and then dominating all takers into his early teens. Eventually he was able to find employment as a border patrol guard, who got around his territory on skis. As a twenty-year old, he made the Olympic squad that traveled to Squaw Valley, California for the 1960 Winter Games, snagging a gold medal in the 4x10km cross-country ski event. Four years later at Innsbruck, Austria, Mantyranta was one of the Games’ stars, taking two more golds in the 15 and 30-km races, as well as a silver medal in the 4x10km relay. And in his third Olympics, Mantyranta tool home a silver and two bronze medals. But also according to Epstein, the rumors were untrue. First there were indications that other members of the Mantyranta family also rested for high levels of hemoglobin, but because there were little ill effects from higher-than-average hemoglobin levels, doctors were never concerned. But this coincidence made hematologists from Finland wonder. After putting the Finnish Olympian through additional blood testing, it was learned that in fact Eero Mantyranta had very low levels of EPO, and that when most people stopped producing hemoglobin based on what the body considered enough, Mantyranta’s body was genetically designed to continuouisly pump out hemoglobin. And more hemoglobin meant not only very ruddy cheeks. It also meant high levels of oxygen circulated inside Mantyranta, a significant advantage that allowed him to ski faster and longer than almost every other cross-country skier. Most certainly, Mantyranta’s singular drive to train and increase his performance as a cross-country competitor was essential to his Olympic success. But most certainly, so was this genetic advantage. Here’s how Epstein remembered Mantyranta in this obituary, when the great cross country skier passed away in 2013. Being born with talent is one thing; alchemizing it into Olympic gold entirely another. And though I drew attention to Eero’s startling biology, that’s worth remembering as well. I’ll remember Eero the way he was when I met him. A jovial and remarkable-looking man, with dark, slicked-back hair and prominent cheekbones that seemed to pull at the corners of his mouth, giving him a slightly inquisitive look. There was a thickness about him, a barrel chest and bulbous nose. I remember when he shook my hand, I felt as if he could’ve crushed my fingers, and I noticed that his middle finger was bent at a right angle from the top joint. He spent the brief period of Arctic winter sunlight that day working in his reindeer yard. I thought he must have been the strongest seventy-three year old I had ever met. That’s how I’ll remember him. A Re-working of the 2014 Sochi Olympics Medal Standings: Is More to Come? Alexander Zubkov (L) and Alexey Voyevoda of Russia team 1 celebrate on the podium during the medal ceremony for the Men’s Two-Man Bobsleigh on day ten of the Sochi 2014 Winter Olympics at Medals Plaza on February 18, 2014 in Sochi, Russia. Unfortunately for Voyevoda, Zubkov was DQ’ed. After finishing 11th in the medal standings at the 2010 Vancouver Winter Olympics, with a total of only 15 medals and 3 gold medals, Russia made a commitment to do better in their home country for the 2014 Sochi Winter Olympics. In fact, Russia, finished at the top of the medal table with 33 total medals, including 13 gold medals. Flash forward to 2017, and the table has turned. After a review of the McLaren report on Russian state-sponsored doping prior to the Sochi Games, the IOC on December 5, 2017, banned the Russian National Olympic Committee from its participation in the 2018 PyeongChang Olympics. This decision means that no official team can represent Russia, but individuals from Russia can apply to participate in PyoengChang as a member of the Olympic Athletes of Russia (OAR), assuming it can be shown they were not part of the Russian doping machine. As you can see in these tables from an NBC Sports article, Russia has suddenly plummeted in the Sochi medal tables from first to fifth. In the current standings, the USA is at the top of the overall medal count at 28, while Norway takes the lead in gold medals with 11. This may not be the final revision. The IOC could decide to move other competitors up the medal ranks to replace the disqualified athletes. While the possible revisions below are dramatic, they actually would not have any further impact on the top five standings, although Latvia would move up from 23rd overall to 20th, thanks to the addition of 2 bronze medals. Biathlon (women’s sprint): Russian silver medalist, Olga Vilukhina, was disqualified. Vita Semerenko of the Ukraine and Karin Oberhofer of Italy could move up to silver and bronze. Biathlon (women’s relay): Members of the silver-medal winning Russian team, Olga Vilukhina, Yana Romanova and Olga Zaitseva, were disqualified. Norway could move up to silver, Czech Republic to Bronze. Bobsleigh (two-man): Alexandr Zubkov was disqualified and stripped of his gold medal, which was unfortunate for his teammate Alexey Voyevoda, who was not disqualified. In this case, Switzerland could move up to gold, while the US could end up with a silver. Latvia might win bronze in this case. Bobsleigh (four-man): As three of the four members of the Russian bobsleigh team, Alexandr Zubkov, Alexey Negodaylo and Dmitry Trunenkov, were disqualified, again Voyevoda appears to get stripped of his gold without being disqualified. Latvia and the US could move up to gold and silver. Another Russia team could have taken bronze, but they also had disqualified members on the team, which opens up the possibility of fifth place Great Britain taking bronze. Cross-country skiing (men’s 50k freestyle): As written in an earlier post, Alexander Legkov and Maxim Vylegzhanin were disqualified, allowing Russian country man Ilia Chernousov to potentially trade his bronze medal for gold, with Martin Johnsrud Sundby of Norway and Sergei Dolidovich of Belarus moving up to silver and bronze. Cross-country skiing (men’s team sprint): Like the 50k freestyle, Vylegzhanin’s DQ results in the stripping of Russia’s silver medal. Sweden and Norway could move up to silver and bronze. Skeleton (men’s): Gold medalist, Alexander Tretyakov, was disqualified, leaving the door open for Martins Dukurs of Latvia to take gold, and American Matthew Antoine to take silver. Another Latvian, Tomass Dukurs, finished in fourth so is hoping for a medal as well. Skeleton (women’s): Bronze medalist Elena Nikitina was disqualified, opening the door for a new bronze medalist, Katie Uhlaender of the US. Speed skating (women’s 500-meters): Olga Fatkulina, was stripped of her silver medal, which means that Margot Boer of the Netherlands could claim silver, and Zhang Hong of China could be awarded a bronze.